Richardsons Chimneys Ltd have been repairing, sweeping and maintaining chimneys not just in Glasgow but across Scotland for many years. All employees of Richardsons Chimneys Ltd are fully trained, with many years experience in sweeping and repairing chimneys. We can also agree a chimney sweeping plan, taking into account the types of fuels you burn and the frequency of use of your appliance, and contact you to arrange regular sweeping of your chimney. For any fire to work successfully, it must have a sound chimney and a correctly sized flue to safely remove the products of combustion from the fireplace to the outside without causing any danger to the occupants of the house or setting the house on fire. There are several types of liner available to suit a variety of appliances and these will be discussed with you when we carry out our survey of your property. We will advise on the best type required to ensure maximum efficiency of your stove. Flue systems. No chimney. No problem. If your home has no chimney or your chimney has been reduced to below roof level, it is still possible to have a new chimney flue system installed in a cost effective manner. 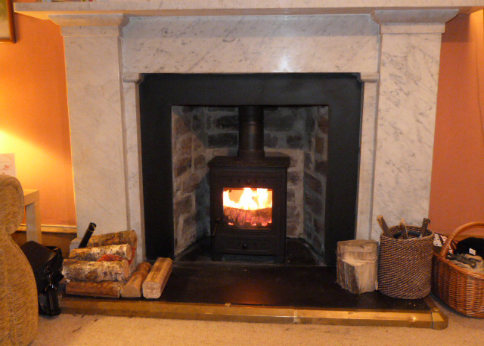 As a HETAS approved installer, Richardsons Chimneys Ltd prides itself on providing a complete service and can take your request from the initial idea phase through to the supply, fitting and commissioning of your wood burning or multifuel stove. We can help your home have a warm, inviting and environmentally friendly source of heat by offering a bespoke chimney design and a HETAS approved installation. If you hire a traditional chimney sweep with modern methods, you get the best of both worlds. 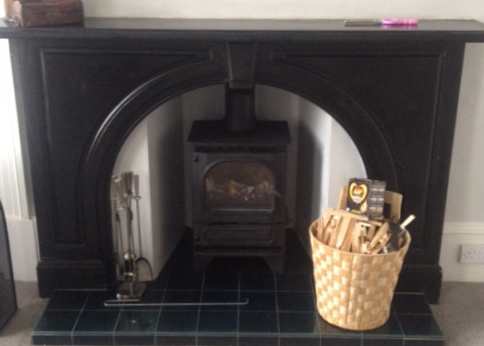 When selecting the right stove for your home there are a number of factors to consider. We can advise you on what fuel type and burner that best suits your house and environment. 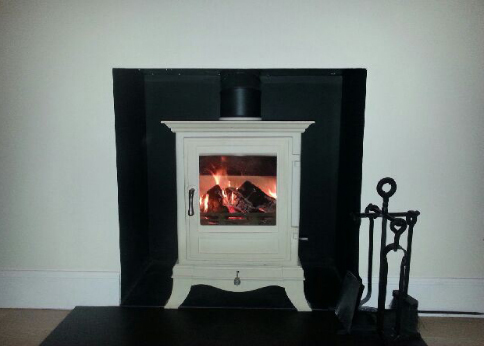 Visit the Glasgow Stove Centre for a fantastic range of wood and multi fuel burning stoves. Just to let you know we're very pleased with our new stove. The boys did a great job without any fuss. They left the place looking cleaner than before they started and were a pleasure to have around.